The 12th Annual Ojai WILD!, a benefit for Los Padres ForestWatch, takes place at The Thacher School’s Upper Field surrounded by panoramic views of the Ojai Valley and Topatopa Mountains. More than 300 guests come together each year to celebrate our accomplishments while raising support for the protection of our region’s wildlife, wilderness, and waterways. Ojai WILD! has become the longest-running conservation benefit event in Ventura County. All proceeds go to protect your local forest. Join us! Enjoy farm-to-table appetizers and dinner, local wines and craft beer, live music, silent and live auctions, a wine cellar raffle, and an afternoon of fun, friendship, community, and conservation. We are proud to offer a sustainably-produced event with recycling and composting provided by The Thacher School. All event materials are printed on 100% post-consumer recycled paper whenever possible to protect the environment, and most food and beverages are sourced from local, sustainable, and organic farms. 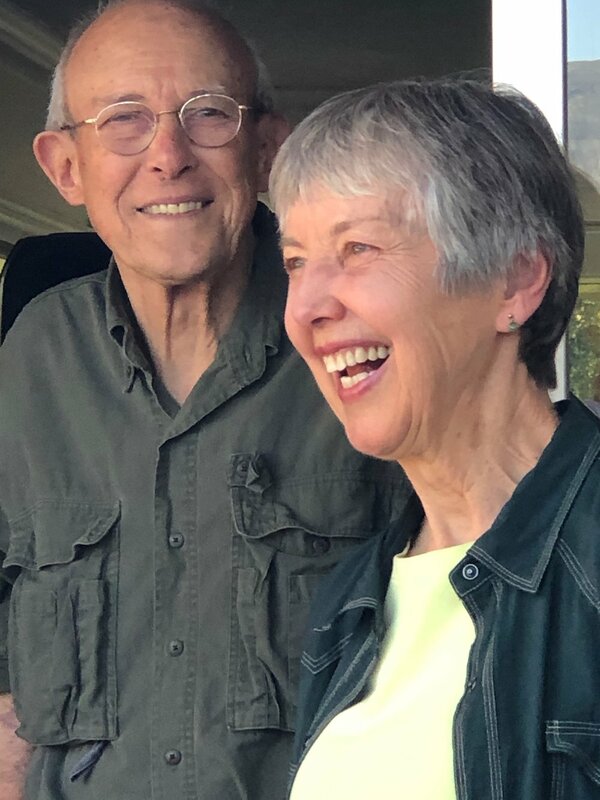 Kathy and John Broesamle have lived in the Ojai Valley for more than 30 years, and together they have served as a powerful force in protecting our region’s environmental well-being. For nearly a decade, Kathy volunteered as the event coordinator for a local land conservation group. She also served on the first board of directors for the Ojai Valley Defense Fund, a nonprofit that provides financial support to groups undertaking legal action to protect and sustain the environmental quality of the Ojai Valley for the public benefit. Sleeping Chief is a musical collective featuring Todd Hannigan, Jesse Siebenberg, Micah Gustafson, Bob Siebenberg, Austin Beede, Mario Calire, Aaron Embry, and Fernie Apodaca. Todd is an Ojai-based composer, singer-songwriter, and Grammy-winning film mixer and sound designer. He also is founder of Brotheryn Studios, a recording facility in Ojai. With influences like Nick Drake, Mark Knofler, and Cat Stevens, he has released four studio albums and is known in the international surf community for his collaborations with the Malloy brothers, Jack Johnson, Ben Harper, and Jackson Browne. Hannigan’s Brotheryn Studios is recognized for work on award-winning surf films “thicker than water,” “shelter,” “groundswell,” “Big Easy Express,” and “Cuatro”. His original voice, perspective, and signature fingerpicking make him one of folk’s underground sons. Los Padres ForestWatch protects wildlife, wilderness, clean water, and sustainable outdoor recreation throughout the Los Padres National Forest, the Carrizo Plain National Monument, and other public lands along California's central coast for the benefit of our communities and future generations. Our nonprofit tax ID is 20-1531390.